First Nations youth who start thinking about and planning for their post-secondary education and career journeys from an early age have more options available to them when they graduate. The Career Journeys First Nations Career Role Model Program was developed by the First Nations Education Steering Committee and First Nations Schools Association. 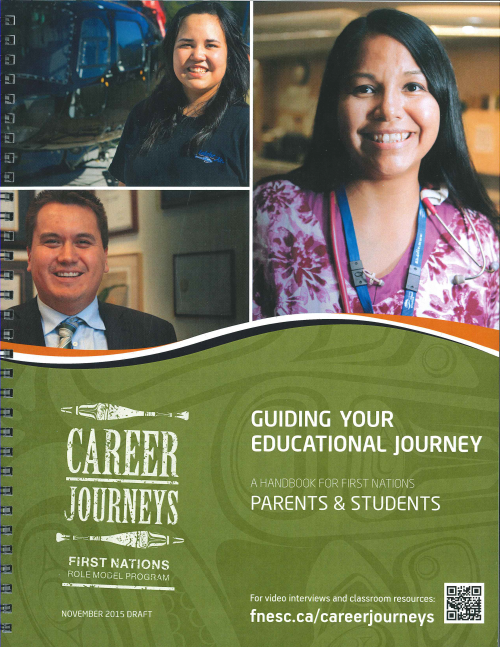 It features First Nations Role Models in a variety of career fields, and aims to raise the awareness of First Nations youth and their families about career possibilities, and to show examples of how to navigate education and training pathways to those careers. The materials are intended for elementary and secondary level students and include video interviews, a teacher resource book, a parent & student guide, and classroom posters. For more post-secondary planning resources, visit Aboriginal Learning Links. 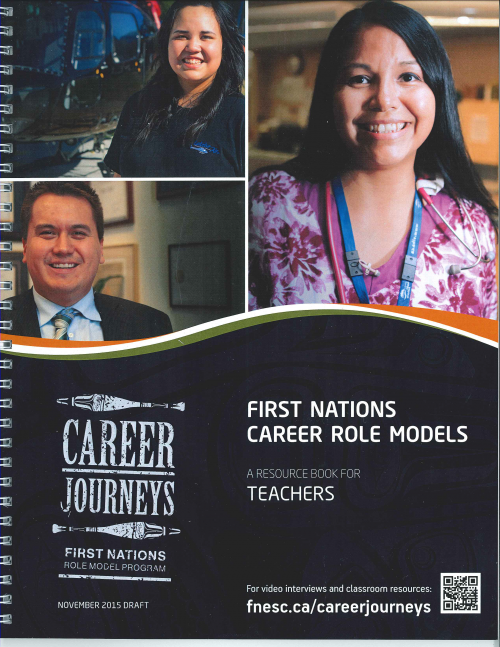 Teachers Guide: This guide accompanies the poster and video series, Career Journeys First Nations Role Model Program. It features 12 First Nations Role Models who represent success in a variety of careers. Parents and Students Handbook: This handbook is designed to provide First Nations families tools and information to help their teens plan for secondary and post-secondary education. Fillable plans and checklists are included.